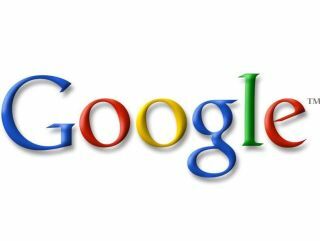 Google has announced its first quarter results with a 31 per cent year-on-year increase in profits from $1 billion in 2007 to $1.3 billion in the first three months of 2008. The company also reports that revenue has climbed to $5.19 billion, up from $3.66 billion a year ago. The IHT’s Miguel Helft notes that Google's revenue, excluding the cost of stock commissions paid to advertising partners, was $3.7 billion, a figure that comfortably comes in ahead of most Wall Street forecasts. On average, Wall Street analysts were expecting Google to report revenue, again excluding commissions to advertising partners, of $3.61 billion. Google’s better than expected results are in sharp contrast to fears over the slowing of the US economy and a slowdown in online advertising. In recent months many analysts had also expressed concerns after web-measuring outfit comScore reported a slight downturn for Google’s sponsored links service in February. However, Google appears to have stemmed this by placing fewer links on the search result page in order to deliver better value to advertisers. It’s also worth noting that 51 per cent of Google’s revenue was earned outside the US market – the first time a majority has come from overseas. All in all then, a good day for Google. As Collin Gillis, an analyst with Canaccord Adams is quoted by the BBC as saying: “It's a good time to be a Google bull. The boys delivered." Naturally, Google shares rose sharply on the back of the announcement.